Research of the last two decades provides useful advice for parents who want to promote their young children’s language and literacy development. Parenting Future Readers translates that advice into easy explanations and activities for parents. 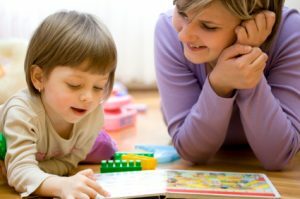 For instance, they tell parents about the importance of talking with and reading to their children, as well as creating print-rich home environments. UW-Extension’s Parenting Future Readers, new in 2003, are 12 age-paced fliers for parents of children ages zero to three.